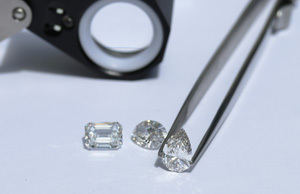 You may be wondering “what does a 1.75ct diamond look like in round versus oval?” We’ve got you covered. Browse examples of 1.75 carat engagement ring styles below featuring Round, Oval, Princess, Emerald, and Pear shaped diamonds. See additional design details, or watch the video of this custom piece , or Drop a Hint!